With Readly you can read K-Pop Superstars: BTS and thousands of other magazines on your tablet and smartphone. Get access to all with just one subscription. New releases and back issues – all included. 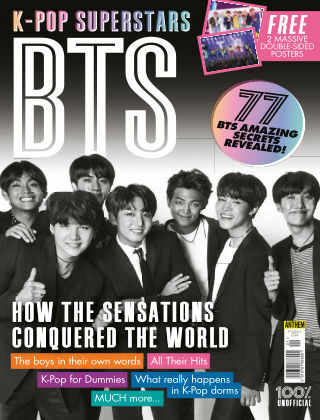 K-Pop Superstars BTS is a fantastic 84 page magazine celebrating the phenomenal success of the chart-topping South Korean boyband.